Over the summer we decided to upgrade our syndicate room kits by starting over and replacing everything. We wanted a kit that would have a bright projector for those rooms with bigger audiences and one that would be able to cope with different lighting levels in the room. 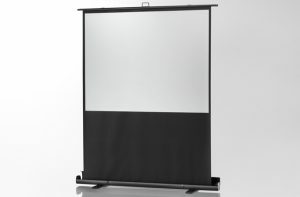 The screen needed to have a great even surface that would look good when installed. 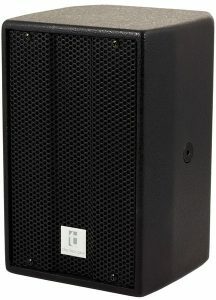 and we needed a small speaker that would help increase volume for videos people like to show. 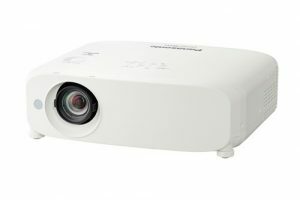 Panasonic’s PT-VW530 bright 5000 ANSI Lumens projector with HDMI and legacy VGA connections enable us to work with modern laptops but also still plug in older ones some speakers might bring with them to present from. Included with each of the kits we have signal and power cables with gaffa tape supplied to avoid any trip hazards. All of this comes packaged in a custom bag with compartments for all components (excluding the screen) which enables our technicians to quickly deploy and set up breakout rooms.